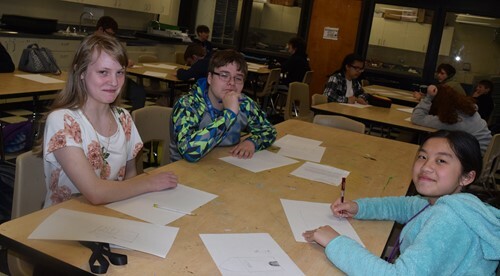 Students in Mr. Van Arsdall’s art classes are beginning a new sculpture project in which they are designing and building shelters out of cardboard. These images are of students sketching, which is the first part of the design process. They will then break into groups and choose a design to build.